Kingdom Come: Deliverance Teaser Trailer | Nerd Much? 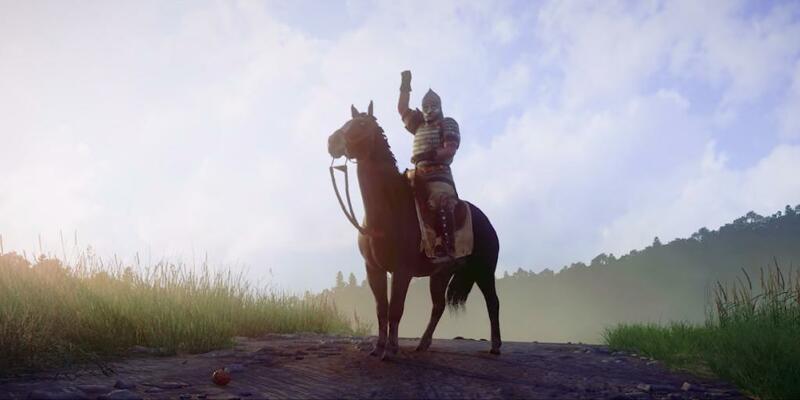 Coming ahead of E3 Deep Silver has released a teaser trailer for their new game developed by Warhorse Studios, Kingdom Come: Deliverance. This game is an open world RPG placed in the Holy Roman Empire, though they don’t mention which side of the Empire you’re on. They do mention that as the player, you are to avenge your parents’ death by battling the invading force. This is more likely to mean the losing side of the war, especially as it is not placed in Gaul, but Bohemia. Warhorse Studios claim a deep story filled with game-changing decisions and quests as you explore the beautiful vistas showcased in the trailer. Kingdom Come: Deliverance makes use of large castles so famous during that time period, as well as the forests and mountains of the country. There are of course plenty of villages and cities for the player to trade in and discover more quests. The trailer also gives us a glimpse of the invading force, which do not look very Roman at all. This masked commander looks a lot more like he is from the Ottoman Empire, or even an Asiatic force. So again, it is hard to say which side of the Roman Empire the player will be on. There is no mention yet what systems Kingdom Come: Deliverance will be on, but a demo will be available to the press during E3.